Read Provebs 23:7. “For as he thinks in his heart, so is he. ‘Eat and drink!’ he says to you, but his heart is not with you (NKJV).” Our thoughts reveal our hearts (Luke 6:45). So we can trace our journey in phrases as well as stages. Below you will find ten phrases that capture our journey to a healthy relationship with food (adapted from Carolyn Costin & Gwen Schubert Grabb in 8 Keys to Recovery from an Eating Disorder p. 14-16; bold text only). Use these as a tool to help you locate yourself as you listen to yourself. The better we are at listening to ourselves the fewer setbacks we will experience and the shorter those setbacks will be. As you read these, gain an appreciation for how change is a process; not a single leap from where we are to where God wants us to be. Realize afresh that God is kind and patient; walking us along the journey of change at a human pace. When we think “I can’t do it” we are usually trying to cover multiple segments of change all in one moment. Allow this study to prevent you from being overwhelmed by the totality of the journey and grow your contentment to take each step by God’s grace and in his strength. Chances are you wouldn’t be beginning this study if there was not some reason for concern. If this is where you are, consider making this statement, “I would like to fairly assess my relationship with food to determine whether it honors God and is contributing to me living the full-satisfying life God intends.” The goal of this study is to avoid taking anything from you that is serving you well. You will make every choice along the way. We simply ask that you have the courage to be honest. “That bad” is a loaded phrase. Unless we’re in the hospital we don’t think we’re “that bad” and, even then, we can easily rationalize that the doctor is being unreasonable or that since we understand the dangers we can control our eating habits better. It is the wise person who assesses the degree of their struggle before a crisis forces them to. That is what you’ll begin doing in the early steps of this study. We see the conflict that exists inside our own soul again. It is so easy for us to see something detracting from our life and not care. “I’m going to die of something. Why not this?” We can easily rationalize. If the issue was merely your right to choose what you want for your life this logic would be fine. But our stated goal is to steward the life and body God entrusted to us. That radically changes our logic. This is why ambivalence is so appealing. We often get to this phrase and go backwards instead of forward. When we commit to the journey we become intimidated by its length. That is normal and understandable. It is part of the process. Don’t condemn yourself for it. Admit it and be honest with God about it. Let Psalm 56:3, “When I am afraid, I put my trust in you [God],” be your perpetual prayer when this is your dominant thought. God is honored when we run to him with our fears; like a parent is honored when their child instinctively runs to them when they are afraid. We have to come to the end of ourselves before we will rely on God. Despair is the first step towards reliance. This is another uncomfortably-good part of the journey. You will fail many times on this journey. You are fighting your sin nature, not just a bad habit. At this point, simply commit to fail-forward into God’s grace and strength. Despair that takes you to God is your friend; you will find that it was the seed of hope instead of destruction. If you feel stuck here, read the book of Ecclesiastes. Notice how God inspired a whole book of dead-ends in order to show his patience, grace, and wisdom to guide people in the process of change. We prefer results over process, but one key mark of people who achieve great things is their ability to savor each increment of progress rather than being perpetually discouraged about how far there is to go. In kindergarten we started by being able to recognize “some of the letters” but thought memorizing the whole alphabet and learning to read was impossible. Now you’re breezing through this study (at least the reading part). Your emotional response to this journey may be just as daunting, but if you stay the course, it will be just as rewarding as learning to read. Behaviors are more tangible than thoughts and emotions, so it makes sense that one would change before the other. Don’t become disheartened by what is predictable. This will be a season when you strengthen your ability to “take every thought captive” (II Cor. 10:5), but allow God’s faithfulness with your behaviors to be seen as a down payment on his faithfulness with your thoughts and emotions. By this point in your journey, you will have already come farther than you thought possible at the beginning. The more freedom we experience the more troubling setbacks and temptation can feel. When setbacks were a lifestyle, we experienced them as “normal” so they didn’t bother us. When you get to this stage you may experience more upset because of a lesser setback than you do now for a greater set back. That is actually a good thing. It will mean your conscience and sense of normalcy have acclimated to an expectation that you will live more in accord with God’s design for how you steward your body and life. Don’t assume, “My life will always be this hard if I try to have a healthy relationship with food and steward my body well.” It won’t. You will begin to enjoy healthy so much that unhealthy makes much less sense to you. This requires relinquishing many of the idols that fuel your current relationship with food (step three) and establishing a lifestyle where healthy habits are part of your rhythms of life (steps six and seven), but you are not signing up to fight a perpetual battle that will be as hard as it feels right now. 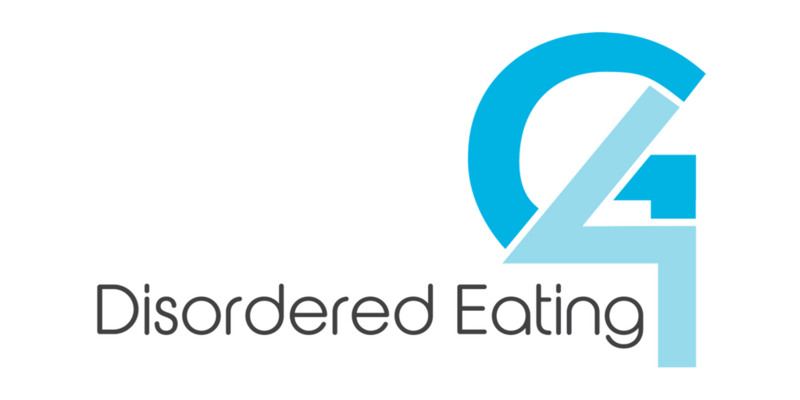 If this post was beneficial for you, then consider reading other blogs from my “Favorite Posts on Disordered Eating” post which address other facets of this subject.